One of my favorite posts of the year is the End of Year Book Survey hosted by Jamie at Perpetual Page Turner. 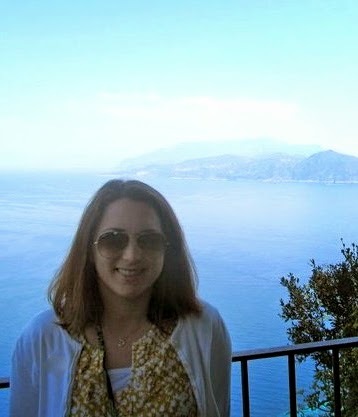 Check out my End of Year Survey from 2010 and my favorite books of 2011. Paranormal/Fantasy YA: The Unbecoming of Mara Dyer, The Evolution of Mara Dyer by Michelle Hodkin, Entice by Jessica Shirvington, Embrace by Jessica Shirvington, Born Wicked by Jessica Spotswood and Until I Die by Amy Plum. Flirting in Italian by Lauren Henderson - I thought this book had the ingredients for everything that I love in a summer read, but the book was just ok for me. Dearly, Departed by Lia Handel- I love steampunk and the idea of New Victoria, but zombies are a deal breaker for me. Burn for Burn by Jenny Han and Siobhan Vivian- I love all things Jenny Han and I thought I would love this book as well, but it was just a middle of the road read for me. I was most surprised by Easy by Tammara Webber and Taking Chances by Molly McAdams. 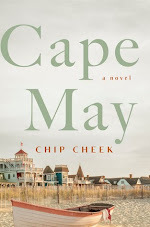 I wasn’t sure what to think about the “new adult” genre, but I am now a fan and both books were addicting. Fans of young adult paranormal series, must try out Jessica Shirvington’s Embrace. I’ve been recommending it all year since it’s one of my new favorites series. 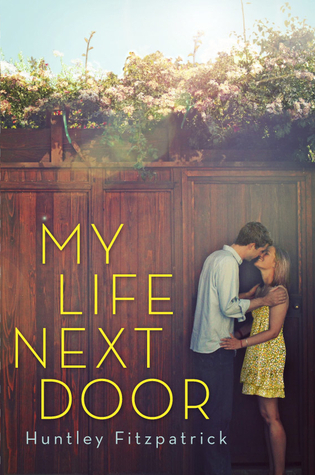 I also LOVED Gayle Forman’s Just One Day, which technically comes out in 2013. I’ll be recommending that one to everybody! The Mara Dyer series by Michelle Hodkin- Even though I am easily creeped out, this series was worth the spook factor. Here are a few: Huntley Fitzpatrick, Michelle Hodkin, Jessica Shirvington, Molly McAdams, Tammara Webber, Katie McGarry and Erika Robuck. Taking Chances by Molly McAdams- I heard a lot of good things about it, but I also heard it was super steamy. That’s not really my thing, but I was pleasantly surprised. The Evolution of Mara Dyer by Michelle Hodkin - This book kept me up late reading and I’m pretty sure it freaked me out to the point where I had a few dreams about it. Now that’s the mark of a compelling read! I don’t normally re-read books, but if I were going to, I would definitely re-read Just One Day before Just One Year comes out. My Life Next Door by Huntley Fitzpatrick - It just screams summertime to me. I love it! Firelight by Sophie Jordan- Who would have thought I would have really enjoyed a book about dragons? I’m glad I read it! The ending of The Evolution of Mara Dyer had me dying for book three! 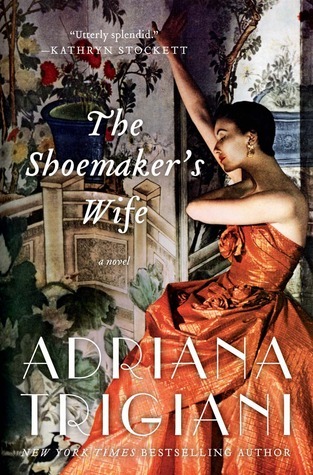 I really loved the relationship in The Shoemaker’s Wife - it was definitely swoon-worthy and spanned many, many years. 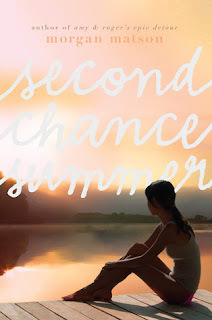 Second Chance Summer by Morgon Matson was great; I always love her books and of course, Just One Day by Gayle Forman was amazing. I’ll read anything Forman or Matson writes. Taking Chances by Molly McAdams- I read it after reading Leanna at Daisy Chain Book Review’s write-up. We have the same taste in books and I’m so glad I read it, because it sparked my interest in the new adult genre. The Fault in Our Stars by John Green - So many people said it was their favorite book of the year, so I must read it soon! There are many books that I am looking forward to, but I’ve narrowed it down to my top ten. I hope to continue to read a mixture of books that I WANT to read, books for review, and books for my classroom. That’s my goal...to keep it fun and never a chore! Let me know what you think and I hope everyone has a Happy New Year! Second Chance Summer is one I definitely want to read next year - I really enjoyed Amy & Roger's Epic Detour, and I already know Morgan Matson is good at making me cry! Matson is such a good writer---SCS will definitely make you cry! Thanks for dropping by, Kit! Great list! The Shoemaker's Wife and Second Chance Summer were excellent and among my 2012 favorites. I still need to read the second Mara Dyer book. I'm looking forward to Just One Day too. I like how your goal is to keep your reading fun and never a chore. Sometimes my reading feels like a chore when I feel overwhelmed by review books or my book discussion books. I hope that won't happen next year! We definitely have some of the same favorites this year, Christina! I hate when my reading feels like a chore. It's definitely something I worked on in 2012 and I'm so glad I did. Happy New Year to you as well. Thanks for visiting! I reallllllllllllly must try your adult recs. Yay! So glad you loved Taking Chances. I read her new book a couple weeks back and didn't like it as much, so I'm interested to see what you think if you check it out. You're right - we have so many of the same favourites! I really need to check out that new Kate Morton too!